The ICAMEST 2015 Conference covered new developments in advanced materials and engineering structural technology. Applications in civil, mechanical, industrial and material science are covered in this book. Providing　high-quality, scholarly research, addressing developments, applications and implications in the field of structural health monitoring, construction safety and management, sensors and measurements. 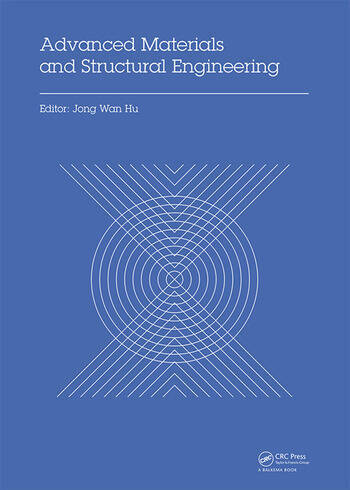 This volume contains new models for nonlinear structural analysis and applications of modeling identification. Furthermore, advanced chemical materials are discussed with applications in mechanical and civil engineering and for the maintenance of new materials. In addition, a new system of pressure regulating and water conveyance based on small and middle hydropower stations is discussed. An experimental investigation of the ultimate strength and behavior of the three types of steel tubular K-joints was presented. Furthermore, real-time and frequency linear and nonlinear modeling performance of materials of structures contents were concluded with the notion of a fully brittle material, and this approach is implemented in the book by outlining a finite-element method for the prediction of the construction performance and cracking patterns of arbitrary structural concrete forms. This book is an ideal reference for practicing engineers in material, mechanical and civil engineering and consultants (design, construction, maintenance), and can also be used as a reference for students in mechanical and civil engineering courses. Prof. Jong Wan Hu received his MS degrees from (1) G.W.W. School of Mechanical Engineering and (2) School of Civil and Environmental Engineering, respectively, in Georgia Institute of Technology. He then received his Ph.D. degree from School of Civil and Environmental Engineering, Georgia Institute of Technology. Dr. Hu has been Post-Doctorate Research Fellow at Structural, Mechanics, and Material Research Group in Georgia Institute of Technology. Dr. Hu also worked as an Associate Research Fellow at the Korea Institute of S&T Evaluation and Planning (KISTEP) and an Assistant Administrator at the National S&T Council (NSTC) for two years. He is currently an Assistant Professor in Incheon National University and has been active in the member of ASME and ASCE. He has two professional licenses such as Civil and Structural Professional Engineers (PE). His research interests lay in the area of smart structures, seismic design, composite structures, and finite element modeling. He has been publishing over 50 SCI-indexed and peer-reviewed journal papers.